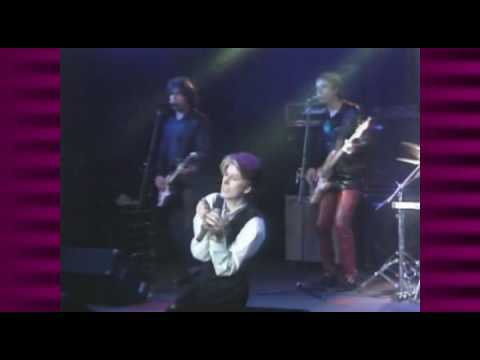 "David Brighton has the voice, moves and look to actually step in for David Bowie if he were unavailable and few would ever know. Experiencing David Brighton's Tribute to David Bowie made for a truly remarkable eveningâ¦" says Harry Maslin, the Producer of David Bowie's YOUNG AMERICANS and STATION TO STATION Albums. Before entering the world of celebrity impersonation, David played lead guitar with a number of popular recording artists, including the hit arena rock band, Quiet Riot... in which Brighton replaced the legendary guitarist, Randy Rhoads. David also enjoyed the hysteria that went along with portraying George Harrison worldwide with a number of the world's top Beatle groups, Including: The Original Cast of Beatlemania, The Fab Four, 1964 (The Tribute), Beatlemania Live, Twist And Shout, Classical Mystery Tour, The British Invasion, and When We Were Fab. Experience Bowie's miraculous transformation from space-aged rock idol, to polished mainstream media star... and the timeless classics that forever changed the face of pop culture with David Brighton's tribute to the most electrifying performer of our time.